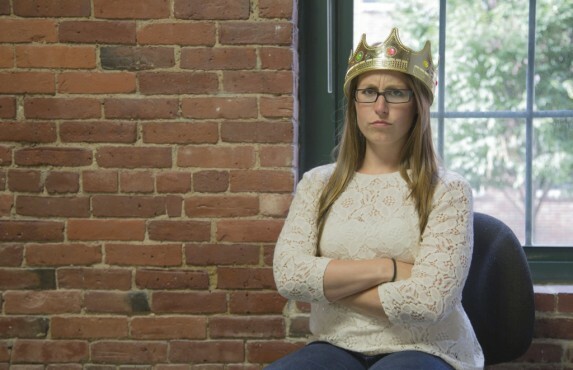 We’ve all had them: bosses who are jerks, narcissists, dictators. The “my-way-or-the-highway” types, ruling the office with iron fists and threatening job security on a daily basis. These bosses make their employees’ lives hell. 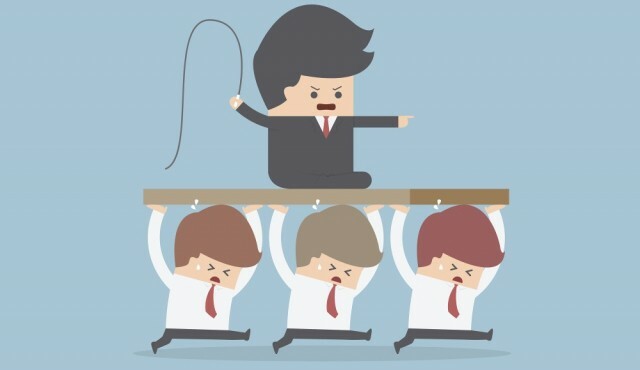 A major contributing factor to this situation is that many companies make a critical mistake when installing bosses: promoting someone into a leadership role purely because of their loyalty to the company and lengthy tenure. Employers think it is the “next logical step,” but really, we all know that loyalty and length of stay do not necessarily a good leader make. Other attributes are necessary, attributes like honesty, communication, and the ability to inspire. Unfortunately, we have to deal with the hard reality that we must answer to leaders who may have no business leading. But believe it or not, beyond the abuse we suffer from these terrible bosses, they can actually be our greatest teachers. opposite of what they do. Perhaps your horrible boss is a micromanager, or they dictate to and command their teams, rather than inspiring and encouraging them. Your bad boss may think exhibiting control over their team has a positive effect, in reality, it’s a very bad idea. Whatever your horrible boss’s leading style, it doesn’t work — and you can learn a lot from that. Aside from being a lousy leader, your horrible boss is probably clueless about how to treat people in general in the workplace. Have you ever done such amazing work that your boss decided to take credit for it? There is no good reason that could ever justify this. Or what about that time you were bed-ridden with the flu for well over a week, and when you finally returned, your boss didn’t even ask how you were feeling — they only dumped a large project on your desk with a deadline of yesterday? When it comes to work ing with and managing people, a little compassion goes a long way. Showing employees they are cared for helps the company’s bottom line. Not exhibiting empathy and humanity, of course, has the opposite effect. As you aspire to move up the ranks in your career, make kindness and compassion your priorities. Then there are the “work martyrs” who burn the midnight oil, pull working weekends, and reply to email on vacation, all so that they can complain brag about it. However, work martyrs are perceived not as company soldiers, but as ineffective and unproductive. None of this bad behavior garners your boss any respect, and certainly not any upward movement in their career. Treating both yourself and others with respect and setting the standard for reasonable and respectful work behavior will support you in your career progression. Being like your awful boss, on the other hand, won’t. When you have to deal with your bad boss daily, just getting through the workday can be difficult enough. But if you have a chance, take a moment to reflect on the lessons that your boss’s behavior can teach you. You may find that your horrible boss has accidentally become the greatest mentor you could ever have. Kamara Toffolo is a career and leadership coach for corporate misfits. She helps working professionals either love or leave their corporate lives by finding or creating work that WORKS for them. She writes for various publications, including her own blog (http://kamaratoffolo.com/blog/) where she discusses career and work fit, passion, and purpose and shares funny anecdotes from her time in the corporate world. Follow her on Twitter (@kamaratoffolo), Google+ (https://plus.google.com/+KamaraToffolo/posts), LinkedIn (https://www.linkedin.com/in/kamarat), and Facebook (https://www.facebook.com/pages/Coach-Kamara/470044796475252).